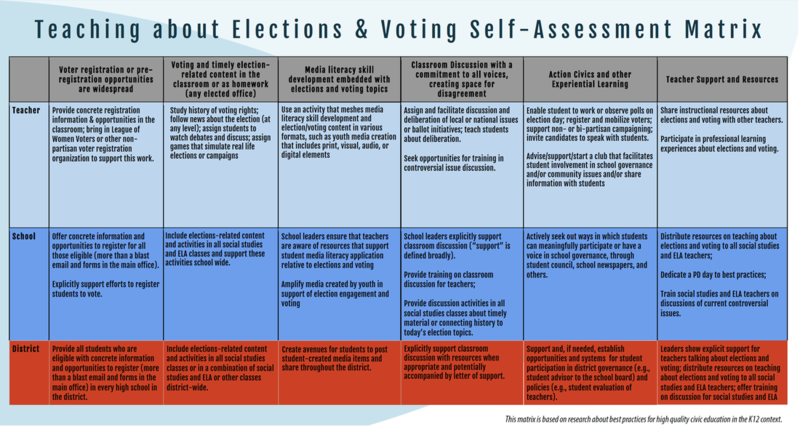 The Teaching for Democracy Alliance consists of organizations working together to equip teachers and administrators to talk about elections & voting in a safe, productive, and educational way to provide students with long-term civic engagement tools. The Teaching for Democracy Alliance is leveraging existing, high quality materials for professional development opportunities for teachers. The alliance was established as a strong collective voice for democratic learning to better equip teachers to bring practical democracy lessons to their students, especially in a tense political year. 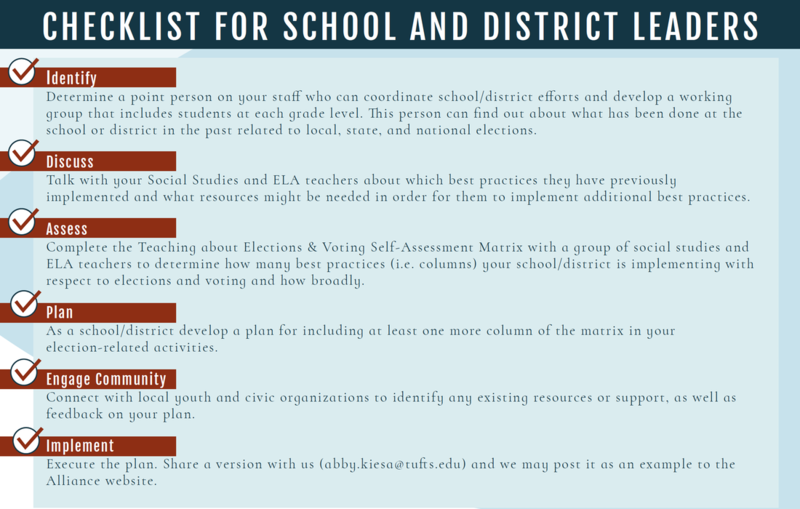 • It’s important for student learning to acknowledge political actors to model democratic practice.